A door for the horses leads straight out into the spacious outdoor paddock from the two lockable stalls. The large tack room is filled with lots of realistic accessories. Dimensions: 69 x 41 x 24 cm (LxDxH). 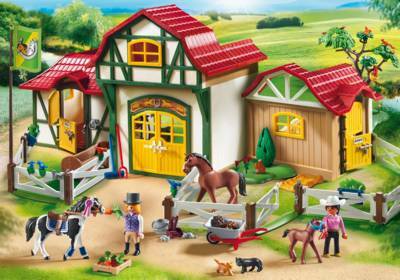 Horse boxes 6934 and 6935 can be added.